This year began with the death of my mother. My sister Andie and I are still adjusting to the fact that we no longer have parents. In April we brought mom to her final resting place next to our father in Bozeman, Montana. In the middle of the year Olivia graduated with Honors from the John F. Kennedy School of Berlin and we celebrated at the Abitur Ball in Wannsee. She’s now headed to California for a gap year internship with Yosemite National Park. In September she will begin her studies at the University of Glasgow. She’s going to study Statistics! I n August we splurged on a family vacation in Gran Canaria to celebrate Andie’s sixtieth birthday. Everyone needed a break from work and studies so we stayed at a resort and spent a lot of time at the pool. We squeezed in a little bit of sightseeing too. 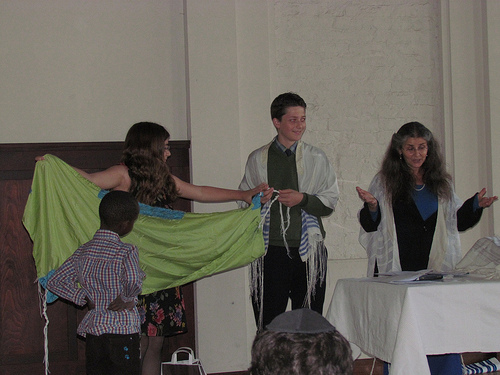 Sam’s bar mitzvah, led by Cantor Jalda Rebling at the Jüdisches Waisenhaus Berlin, was the biggest family event of the year. Andie had just moved to Santa Barbara when one of the worst fires in California history broke out. She left in the middle of the Thomas fire to be with us for Sam’s coming of age ceremony on December 16th. We’re also grateful that my brother-in-law Todd and his wife Barbara who live in Malawi took time out from their family vacation in Amsterdam to join us. 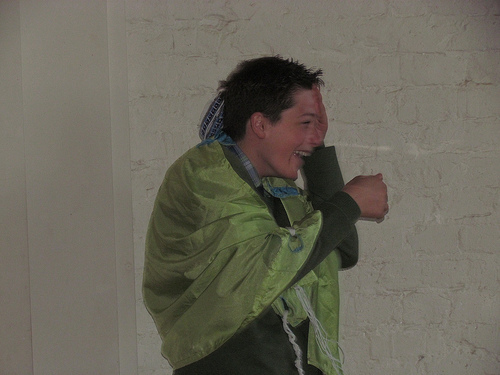 Another special bar mitzvah guest was my friend Mike, who I met through this blog. He drove all the way from Chalon-sur Saone, France in his rather ancient VW van to celebrate with us. Mike is a phenomenal photographer and human being. 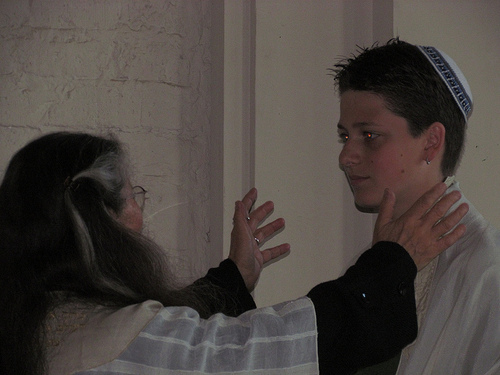 Please have a look at his photo-essay, Samuel Brian Swarthout Becomes a Bar Mitzvah, a beautiful gift to our family. Thanks for reading my blog this year and best wishes for 2018. Holiday mania has hit Berlin. 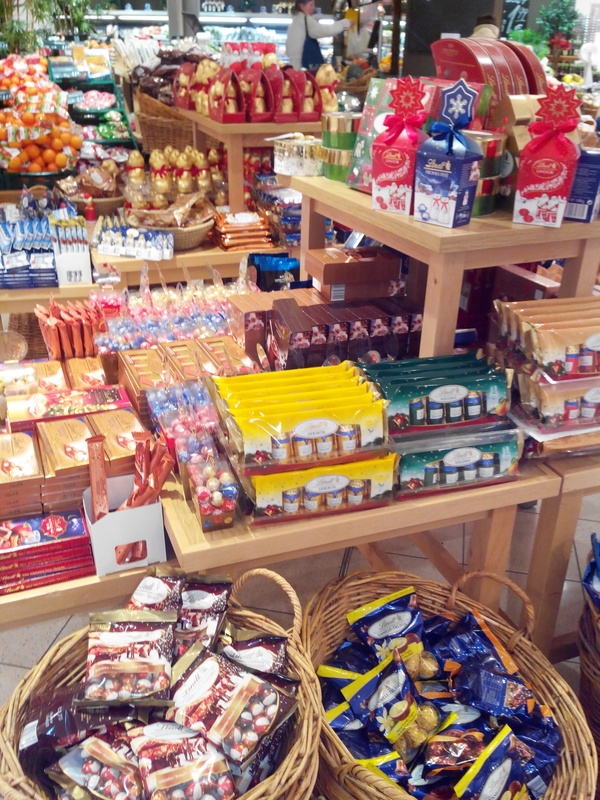 Massive displays of chocolate and marzipan have taken over the grocery stores, and Christmas markets and stalls are going up everywhere. The crowds are as thick as ever, but that doesn’t mean the Germans are filled with holiday cheer. During a long wait in line at a store last week, the man in front of me was arguing with the checker while two women behind me were hurling invectives at each other over who was first in line. A good way to escape holiday stress is to head outside the central city into one of Berlin’s many pastoral enclaves that line its lakes and rivers. We spent part of the last two weekends at Gutshof Gatow, an organic farming estate where visitors can purchase products made on site or sit and enjoy house-made kuchen and coffee. 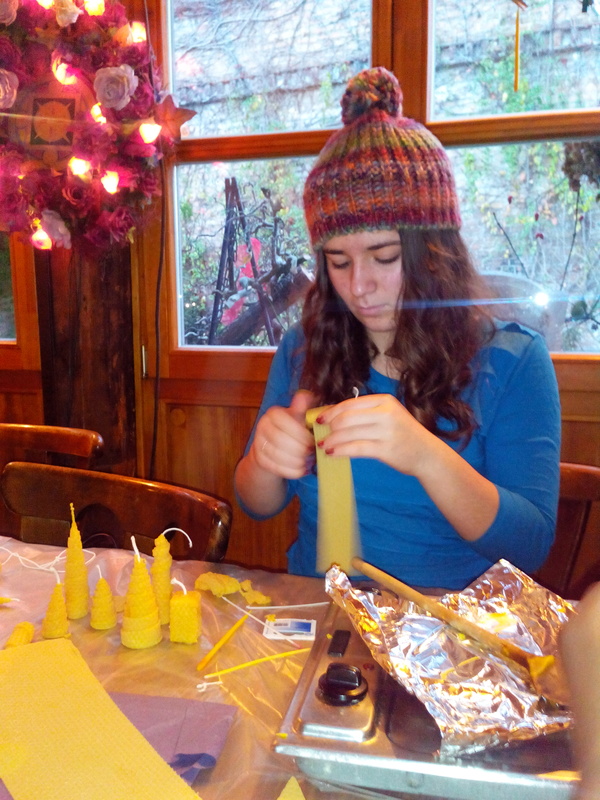 On Sunday we made beeswax candles for Hanukkah with Ohel Hachidusch. 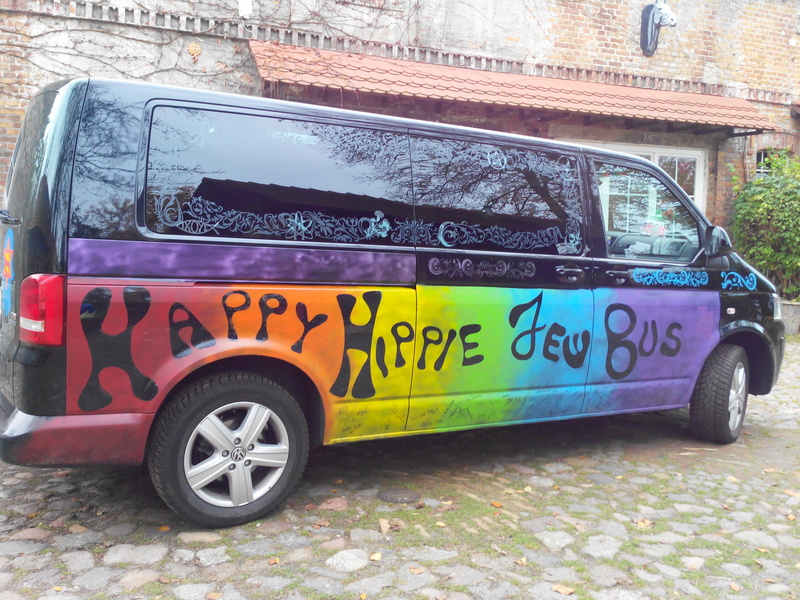 For those of us new to this craft, we received instruction from Anna Adam, Ohel’s artist extraordinaire, who delivered our materials in the Happy Hippie Jew Bus. Anna and Cantor Jalda Rebling travel the land in this decked-out, pseudo-60’s VW bus to bring Jewish life and creativity beyond the Jewish cultural hub of Berlin. Though I’m not quite ready for this year’s early Hanukkah, we do have enough tapered beeswax candles for the first few nights. And then there’s Thanksgiving, my favorite American holiday which I will never give up as an expat. I’m not much of a hippie, but it’s great to stay laid back during the holidays. So bring on the Hanukkah Geld and roast turkey! A boy becomes an adult and reclaims his family’s place on the soil from which his ancestors fled two generations ago. Berlin’s former Jewish orphanage, with its historic prayer hall, marks the first bar mitzvah since the Shoah. Ohel Hachidusch, a congregation outside Berlin’s mainstream Jewish community, embraces its first son of the commandments. A father weeps to see his first-born step with confidence into adulthood. A mother aches with joy as she stands on the bima, the living link between the father she’s lost and her son who is his namesake. These were the heavy layers of symbolic meaning that enveloped Avery’s bar mitzvah last weekend. But the deep significance of the occasion didn’t keep us from having a fun and rowdy celebration. Avery got hammered with German and American candy at the end, and sustained a pretty strong hit on the forehead from a rock hard treat thrown by his little brother. I think Avery and one of his buddies also got hammered with a secretly made potion of wine and iced tea! It was a day of profound peace and joy for me. As my son chanted his Torah portion in a clear and resonant Hebrew that apparently carried no trace of an American accent, I saw the beauty of a ritual that ties all Jews together. Sharing that ritual with our mostly non-Jewish friends from Berlin (as well as our family from Amsterdam and two dear friends from the U.S.) gave us a sense of belonging in our new community so far away from Montana. We are indeed a “German American Jewish family” that is comfortable following our beliefs in both countries that we call home. Photos courtesy of Bill Slaton.